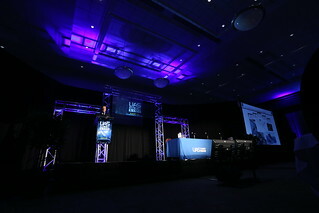 The UAS Summit & Expo started as a small gathering of regional stakeholders. Now, 13 years later, the event in the Northern Plains of North Dakota has become a yearly major event for UAS experts from around the world. It’s the original epicenter of drone research, earned its place as the Silicon Valley of Drones and as you’ll see from the commercial, government and military flight activity filling the sky of the Northern Plains and beyond every day, it has truly become America’s UAS proving grounds. True to its trailblazing roots, this year’s event will unite industry thought leaders, policymakers and high-impact end-users like never before. A newly formed advisory committee representing the most influential UAS entities from the Silicon Valley of Drones has reimagined everything. Working with UAS end-use clients from inside and outside the industry, the advisory committee has taken bold steps to expand the Summit and reveal—through new and unique content never tried before, end-user input and a special attendee list of decisionmakers, buyers and big-names—what your future in UAS will be.